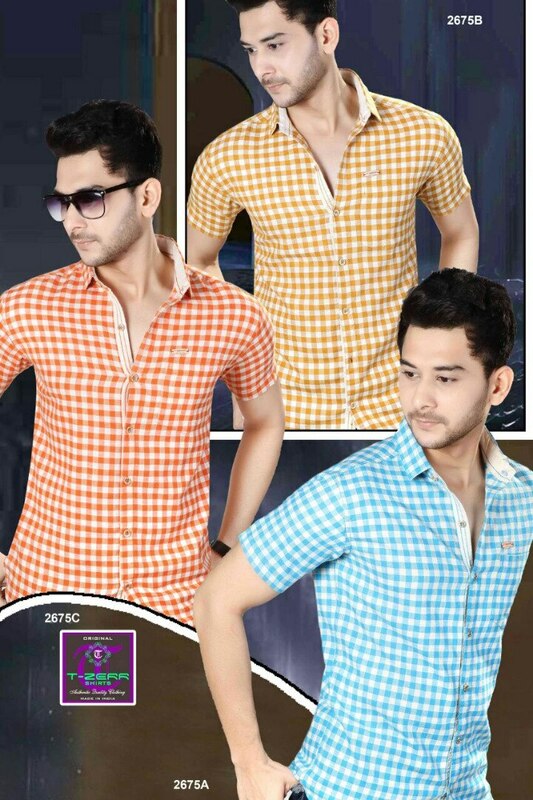 Half Sleeves Shirts in Surat, India from T-ZERR LIFESTYLES PVT. LTD.
Our large capacity storage units permit us to keep large stocks of products with us at all times. With the large manufacturing facility at our disposal we manufacture, export, supply and trade premium quality Half Sleeve Shirts. These fine products are designed by experts and are stylish and modern. Available in attractive colors these can be paired with a variety of trousers for a classy formal or casual look. We offer the entire range at industry leading prices to suit all types of customers.